A wood burning fireplace is a hearth with an open firebox, which has a decorative and heating function. 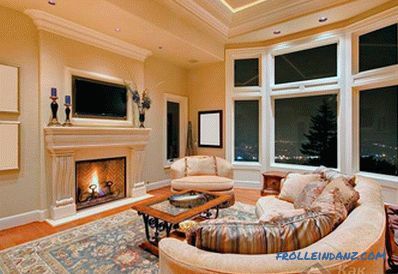 Fireplaces with wood heating are recommended to be erected in private houses and cottages, since it is almost impossible to obtain permission to build a fireplace in a residential high-rise building. The construction of the fireplace takes a lot of time and requires significant financial costs. 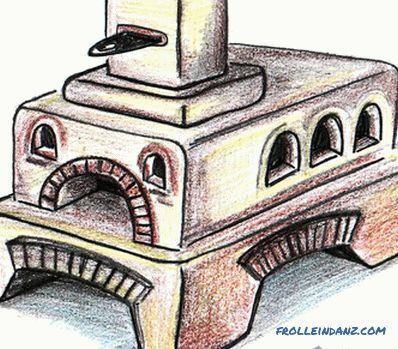 In this article we will talk about how to make a wood-burning fireplace with your own hands, we will give drawings, photos and video instructions. It is necessary to build a structure in compliance with fire and technical safety standards. 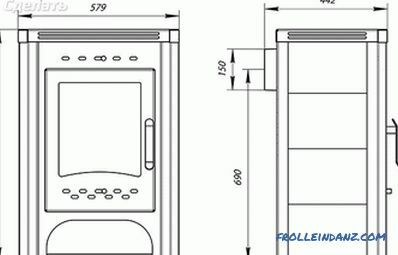 It is necessary to start the construction of a wood-burning fireplace with careful design of the project. 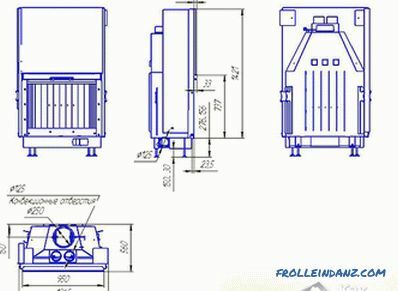 It is necessary to draw up at least an ordinary drawing, which will further help in the process of erection of this device, and will also come in handy during the calculation of the required amount of consumable, general construction and finishing materials. First of all, you should decide on the location of the wood fireplace in the room. The best place to build a wood-burning fireplace is the supporting front or internal wall or the angle at which the two bearing walls intersect. The main thing is not to place the hearth in a place blown by a draft or near a flight of stairs. 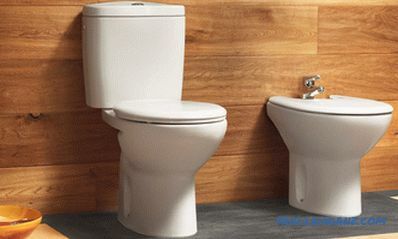 It is undesirable to build it also in front of window openings. Next, you should decide on the size of the structure. 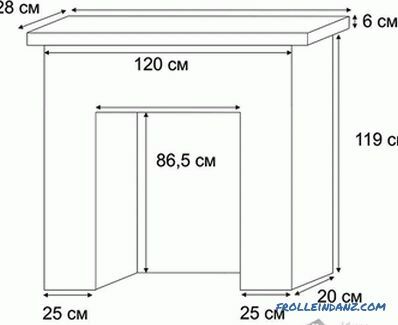 The size of the hearth depends on the relationship of its parameters to the volume of the room. 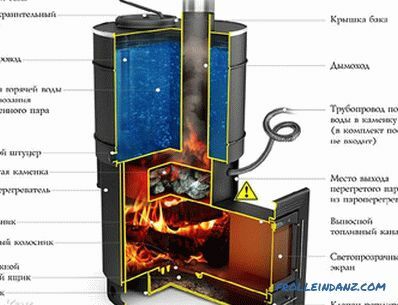 In order for the wood-burning fireplace not to cause the smoke of the room and to have good heat dissipation, it is necessary to carefully calculate the ratio between the width of the portal, the height of the firebox and the depth of the firebox. 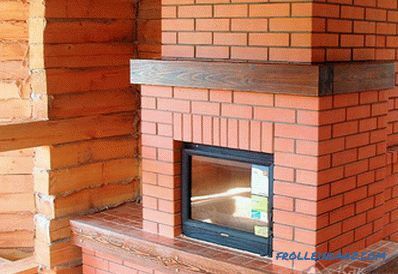 The design of the fireplace consists of a chimney and a firebox. Do not make the firebox too deep. If you do not follow these rules, there will not be enough heat in the room. 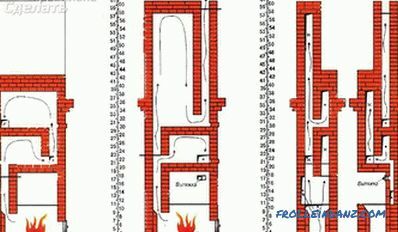 Inside the fireplace, where the firebox is connected to the chimney, a gas threshold is established. 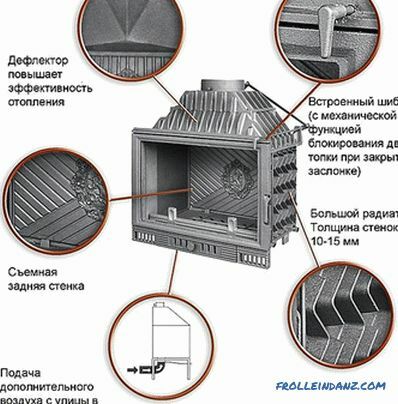 Its function is to prevent the flow of air entering the fireplace, and prevent sparks from escaping from the furnace. 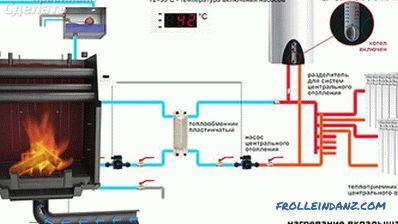 Thanks to the regulation of the air flow, which is carried out by this threshold, soot and smoke will not enter the room. The width of the threshold is constructed in accordance with the width of the chimney, or made slightly larger. It will be enough to exceed 1-2 cm. 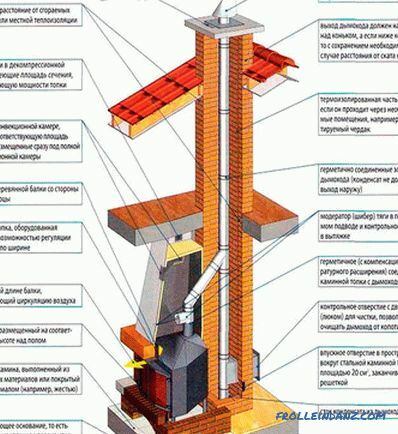 The gas threshold should not narrow the chimney, in order to avoid smoke, it is erected strictly horizontally. Wood fireplaces have a relatively weak burden. Therefore, caps are installed above them, in which smoke accumulates in order to bring it out after a while. Foundation First you need to build the base of a wood-burning fireplace, that is, build a foundation for it. 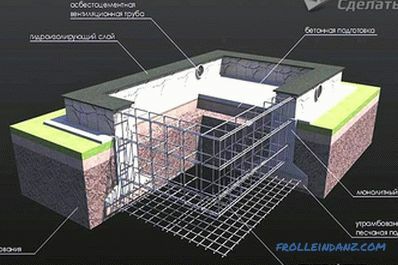 To do this, prepare a pit with a depth of approximately 50-60 cm, and line the bottom with a layer of gravel. Sand is poured over gravel (crushed stone) and cement solution is poured on top. The base is made below the floor level by approximately 10 cm. The foundation base of the fireplace should not be tied to the foundation of the house to avoid structural cracking during precipitation and further operation. Before building a fireplace, two insulating layers of roofing felt are laid between the foundation of the house and the base of the fireplace. 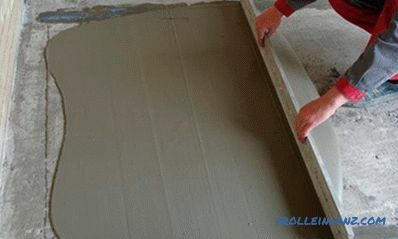 Bricklaying of a wood-burning fireplace is made of high-quality refractory bricks using a trowel, be sure to soak the stone in water beforehand (at least for a day). 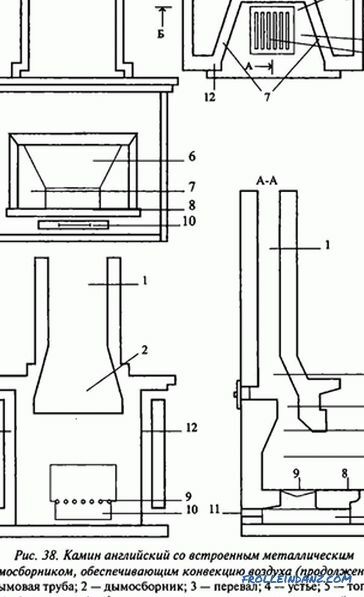 The solution for the arrangement of the firebox and smoke box, which is made of clay and sand, is leveled by hand, and then wipe up the excess, making the masonry surface more even and smooth. 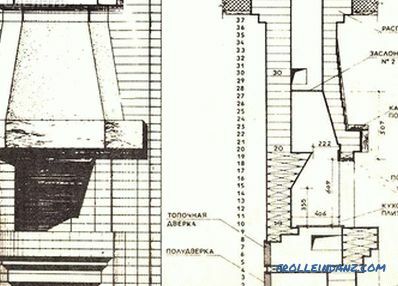 In order to achieve an even slope of the rear wall, a screen is embedded in it in advance, and the arches of the hearth are laid out of bricks using a stepped overlap. 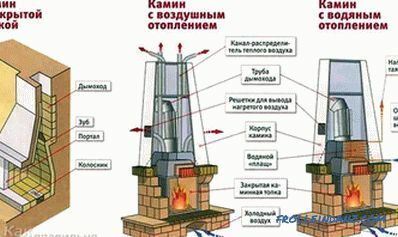 The chimney shelf, as one of the main elements of the external design of the fireplace, can be laid out in various shapes or made of various materials. It must be remembered that it must be protected in advance from excessive heat by adding additional layers of stone, brick or concrete to the design of the fireplace. 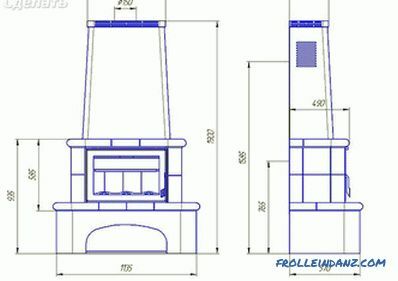 Since it is not easy to make a wood-burning fireplace on your own, you should constantly follow the drawing. 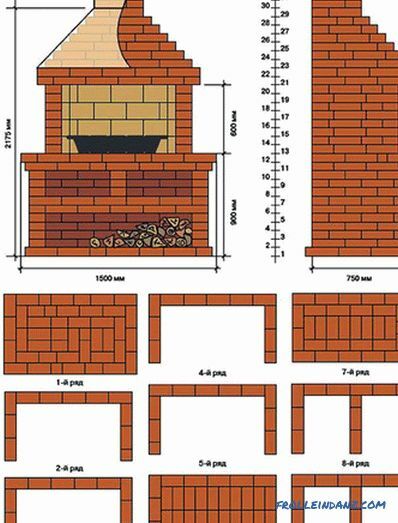 To make the hearth durable and durable, you need to keep track of the horizontal masonry, the geometry of the corners and the proportionality of the dimensions. 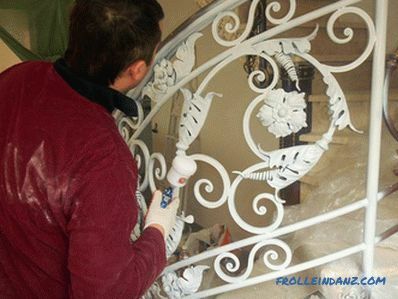 In the decoration of the fireplace, you can use natural and artificial facing materials: marble, dolomite, ceramics or granite. In a more traditional version, so popular today as the country style or the Mediterranean style, the exterior finish can be left in the form of brickwork or just be carefully plastered and painted. By following these recommendations, you can quickly and efficiently set up a reliable and durable wood-burning fireplace in your home.